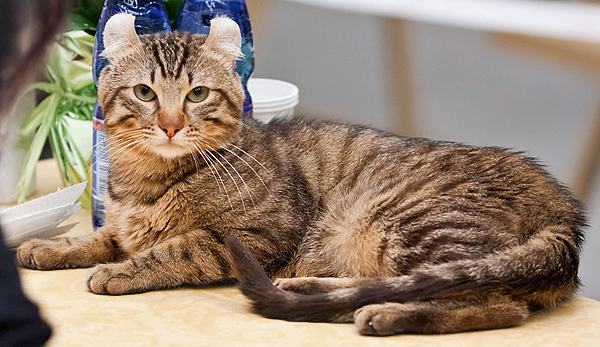 The most striking feature of the American Curl is the breed's curled back ears. Not like the Scottish Fold, these ears stand erect and yet curve backwards creating a crescent shape on each side of the head. The whole of the American Curl should present an elegant and well balanced feline; moderately muscled, and active and alert though gentle and with an even disposition. Females should weigh between five and eight pounds, with males slightly larger at seven to ten pounds. The head of the American Curl is a modified wedge, slightly longer than it is wide with a rounded muzzle and firm chin. Eyes are walnut shaped, oval on top and round on the bottom, set about one eye width apart. 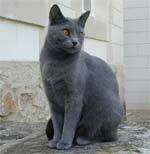 They should be bright and brilliant in color; blue in pointed classes. 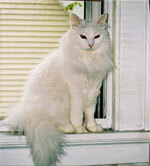 The coat of the breed should be fine, silky and lay flat with minimal undercoat and a full, plumed tail. Shorthaired versions should also have a resilient and plushly dense feel. All colors and patterns are accepted. The unique ears of the American Curl should have a minimum 90 degree arc of curl that shall not exceed 180 degrees. Cartilage should be firm from the base of the ear to at least one-third the height of the ear with round, flexible tips. Ears should be marginally large, set on top and to the side of the head, with a smooth arc visible from the front and rear. There are three degrees of curl in the ears; first degree for pet quality, second for breeder quality, and third for show quality. A show quality curl should have the curve of a full crescent, smooth and graceful without an abrupt change in direction. Furnishings, such as tufts of hair similar to the Lynx, are desirable and when alert the tip of the ears should point to the center of the base of the skull. 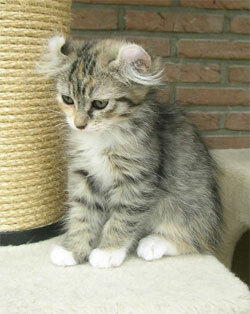 It should be noted that kittens are not born with the curl. They are, in fact, born with straight ears that then curl tightly back within 3-5 days and slowly, over the course of four months, curl and uncurl into the shape they will remain. 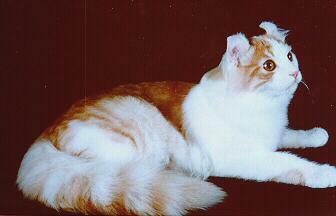 The American Curl is a faithful and affectionate breed of cat. They are very people oriented, quick at adjusting and have an affinity for children. Not overly talkative, the breed tends towards coos and trills that highlight its kitten-like personality and encourage their nickname as the Peter Pan of felines. The American Curl loves to perch on shoulders, gently pat and nuzzle faces, and enjoy a game of fetch. They are playful and energetic with a good level of curiosity; you will find your American Curl happily investigating any changes to the household. Care for the American Curl is fairly easy. Regular brushings are recommended as are ear cleanings. There are no hereditary health concerns. 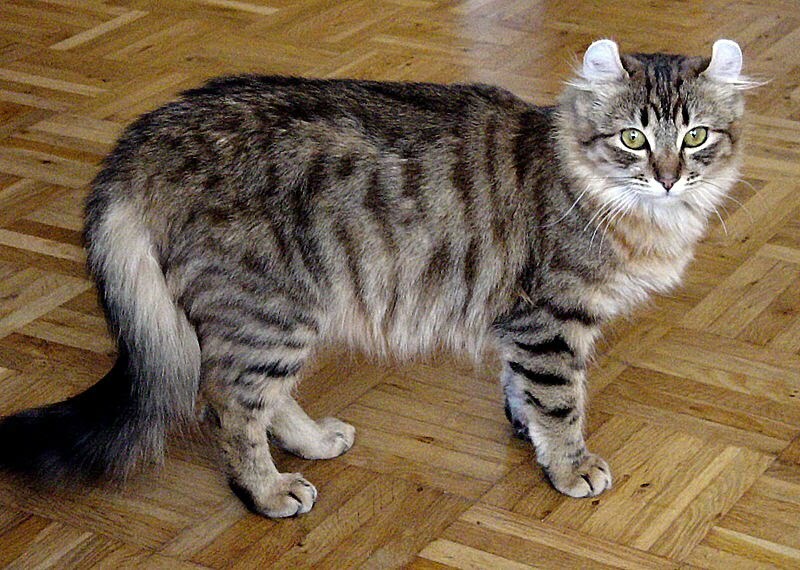 The American Curl is a relatively new breed, only discovered in the 1980's through a pair of kittens who showed up on the doorstep of a couple in Southern California. Though one kitten disappeared, the other remained and was named Shulamith. 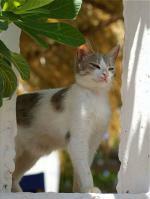 Not long after her arrival, Shulamith had a litter of kittens; two of these had her strangely curled ears. They thought that this could be a new breed, which led to research, testing, and eventually the recognition of a new breed of cat. The gene that causes the strange curling of the ears is a spontaneous mutation of a dominant gene with no deformities attached to it. This means that all litters will have at least one kitten with the curled ears, and in homozygous litters all kittens will have the curl. It is important to note, however, that it is virtually impossible to predict how the ears will curl based on the parents. 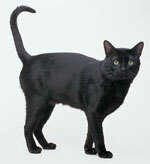 The breed is permitted to outbreed only to non-pedigreed, or common, domestic cats in order to provide a large gene pool. Because of this, the breed is remarkably free of hereditary diseases and litters are very hardy. The American Curl was first registered with the CFA in 1986, receiving provisional acceptance in 1991 and Championship status in 1993.